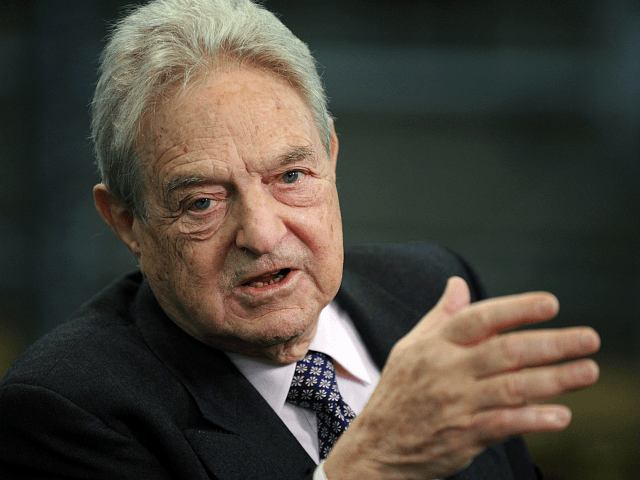 Left-wing billionaire mega-donor George Soros donated $408,000 in 2016 to a super PAC that supported Cook County State’s Attorney Kim Foxx, whose office prosecuted — and dropped — the Jussie Smollett case. In a shock announcement Tuesday, prosecutors dropped all 16 felony charges against the left-wing Hollywood actor, whom police had accused of faking a hate crime in January that he blamed on racist, homophobic white Trump supporters. Foxx had formally recused herself from the case in February because she had spoken with Smollett’s family. (Update: Prosecutors said Wednesday that Foxx never formally recused herself.) The Chicago Tribune later reported that Foxx had asked police to turn the case over to the FBI after an intervention by Tina Tchen, a former chief of staff for former First Lady Michelle Obama. Soros has spent heavily on backing “progressive” candidates for local prosecutorial offices across the nation, following the rise of the Black Lives Matter movement in 2014, which alleged that black defendants have been treated unfairly by the justice system. Foxx defeated Alvarez in the primary, and won easily in the fall. As Breitbart News has reported extensively, Soros has been intervening in local races for prosecutor, state’s attorney, and district attorney — often backing left-wing Democrats against other Democrats in doing so. Left-wing billionaire George Soros continues to pour millions of dollars into hitherto-obscure local races for district attorney, backing “progressive” candidates who are opposing more traditional law-and-order prosecutors. The Los Angeles Times reported earlier this month that Soros is involved in 21 district attorney races across the country — and that is just the spending that is known. He is also contributing money to non-profit organizations that are engaged in certain political activities but are not required to report donations. Foxx’s office explained the decision to drop charges against Smollett by referring to his previous community service. The decision to drop the charges was officially made by Joe Magats, first assistant state’s attorney. This article has been updated to note that Foxx recused herself from the case in February — though never formally.